We’ve examined AOR UTI Cleanse to determine how effective it is as a natural relief for urinary tract infections. This natural product is designed to reduce the binding of E. coli bacteria to the urinary tract, helping to clear the infection. We also look at the customer support that the manufacturer offers. E. coli precipitate a urinary tract infection by binding to the wall of the tubes and organs in the urinary tract. D-mannose is a small sugar that binds to the “sticky tentacles” that the E. Coli use to attach to the relevant structures. When the bacteria bind to the sugar instead of the wall, they are washed out by the urine. Scientific studies have shown that D-mannose is absorbed into the blood from the intestine and is transported around the body, where some of it is deposited into the urinary organs, where it can perform its function. Cranberry juice contains antioxidants, which help to reduce the inflammation that was caused by the infection. When the E. Coli grow and multiply, they injure the cells in the urinary tract. Oxidant chemicals are released in a variety of ways. These cause even more damage. Antioxidants help to remove these chemicals and so reduce the damage and inflammation. One to two tablets can be taken four to five times a day with a glass of water. 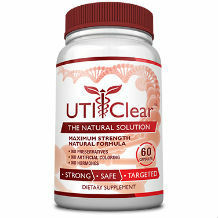 AOR UTI Cleanse must be taken without food. Each tablet contains 1000 mg of D-mannose and 100 mg of cranberry juice. The manufacturer suggests taking the product for up to 4 weeks. There are no major side effects reported with the use of this product but pregnant women and breastfeeding mothers are advised to consult a healthcare professional before using this natural product. Other groups that must be cautious include those who have a history of kidney stones or have taken blood thinners. The product is not available for purchase through the manufacturer, but rather from third-party retailer websites. 60 capsules can be purchased for $47.63 and 120 capsules can be purchased for $63.97. These prices do not include the charge for delivery and taxes. We could not find any evidence that this manufacturer offers a guarantee for their product and they do not seem to have a returns policy. This is slightly concerning to us because it shows that the manufacturer does not have complete confidence in their own product. 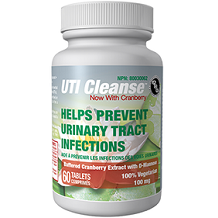 The ingredients in this product are well supported by scientific research and are very logical ingredients to include in a UTI relief supplement. The major problem with this product is that it is very expensive for a product that is not backed by a satisfaction guarantee. If customers spend the amount of money that is asked for this product, surely they expect to get their money back if they find it doesn’t work. We recommend customers search for products which are backed by a guarantee, so that they are truly satisfied when they spend their money.